Nothing is more devastating to a family than the loss of a loved one. The anguish of such a loss is compounded if the death was as a result of the negligence, carelessness or intentional conduct of someone else. Regardless of whether the party at fault is charged with a crime, the law allows for the loved one’s survivors to pursue monetary damages if it can be shown that the death resulted from negligence. 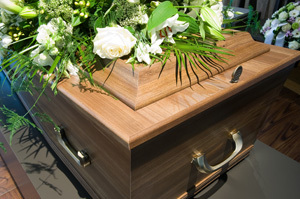 Wrongful death can result from negligence motor vehicle operation, medical malpractice, construction accidents, defective products and dangerous workplaces. Each case is unique and, therefore, it is important that you have a lawyer with experience handling these types of cases. The lawyers at Sacchetta & Baldino have a track record of success, whether by way of settlement or jury trial, in achieving fair compensation and justice for our clients. If you have lost a loved one as a result of someone else’s negligence carelessness or recklessness, please call. We will discuss the case with you at no charge. We are paid only if we are successful in reaching a recovery. For examples of our success in this area click here.